The European Rubik's Cube Championship 2010 is the 4th European Championship and will take place on October 1/2/3, 2010 in Budapest, Hungary. Budapest also hosted the World Rubik's Cube Championship in 1982 and in 2007. With Euro 2010 we also celebrate the 30th anniversary of the Rubik's Cube. Budapest is the capital of Hungary. As the largest city of Hungary, it serves as the country's principal political, cultural, commercial, industrial and transportation centre. Winners of Euro 2008: Winner Tomasz Zolnowski, runner-up Erik Akkersdijk, 3rd place Edouard Chambon. European Rubik's Cube Championship 2010 is an official competition of the World Cube Association, and will be run under the official WCA regulations. Results of the championship will be added to the official WCA World Rankings. If you have any questions, feel free to contact the Euro 2010 organisation team. The European Rubik's Cube Championship 2010 is open to competitors from all countries and of all ages. Qualification is necessary, based on results in earlier WCA competitions. Participation is free. All competitors receive a gift pack. Friday (9:00 - 20:00): qualification for main events, first rounds for side events, finals for some side events. Saturday (09:00 - 20:00): official opening, first rounds for main events, finals for side events, party. Sunday: (09:00 - 17:30): finals, winner's ceremony. November 8, 2010 Pictures of the Mosaic Building. November 8, 2010 Pictures of the Puzzle Building. November 7, 2010 Results of the Mosaic Building. November 7, 2010 Results of the Puzzle Building. October 3, 2010 Sergey Ryabko won the European Rubik's Cube Championship 2010 with an average of 10.31 seconds. Erik Akkersdijk finished second (10.38) and Cornelius Dieckmann finished third (10.78). World records: Bálint Bodor Megaminx 47.53 (single) 51.45 (average), Brúnó Bereczki Pyraminx 2.65 (single). European records: Maarten Smit Rubik's Clock 6.63 (single) 7.88 (average), Michal Halczuk 5x5 Cube 1:15.28 (average), Rafal Guzewicz 3x3 multi blind 11/11 in 55:10. September 28, 2010 Update of the time schedule of Friday, because we have to clear the main stage earlier. September 26, 2010 Fifth update of the qualification limits. All competitors are accepted for all events, except 6x6, 7x7, feet solving and Mosaic. See Events page and Competitors page. September 18, 2010 Major update of the time schedule. September 18, 2010 Fourth update of the qualification limits. There will be no qualification round for Rubik's Cube event anymore. See Events page and Competitors page. 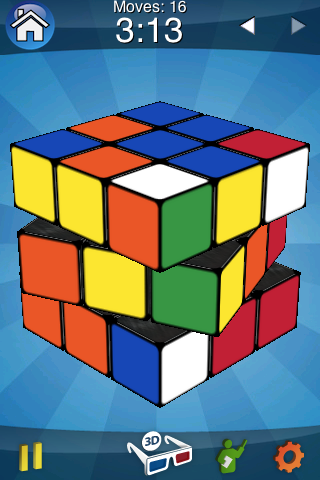 September 18, 2010 We will have an unofficial competition on the iPhone Rubik's Cube app, on an iPad. Make sure you have some practice before Euro 2010, because we have a nice prize for the winner! September 18, 2010 We will have an unofficial event Redbull Head-to-Head Knock-out Best-of-1 during one of the breaks. Winner receives a Redbull package. September 18, 2010 We will have an unofficial event Puzzle Building on Saturday. If you created a nice twisty puzzle, and you want to participate, then check out the Provisional rules for the event, feedback is still welcome. September 8, 2010 Third update of the qualification limits. See Events page and Competitors page. September 6, 2010 The party on Saturday night will take place in the main hall of the venue. August 28, 2010 Second update of the qualification limits. See Events page and Competitors page. Another update will follow after Hungarian Open 2010. August 12, 2010 Please book your hotel as soon as possible, because the special price will expire soon! Don't miss the experience of staying in the same hotel as most other competitors. See Hotels page. August 9, 2010 First update of the qualification limits. See Events page and Competitors page. July 16, 2010 All currently registered competitors are accepted for the Rubik's Cube event, in First round or Qualification round. See Competitors page. July 12, 2010 Added more hotel booking information on the Hotels page. July 12, 2010 Provisional rules for the Mosaic Building event. Feedback is welcome. 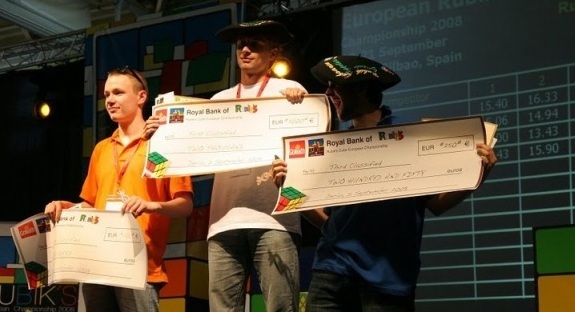 July 7, 2010 Registration for European Rubik's Cube Championship 2010 has opened.